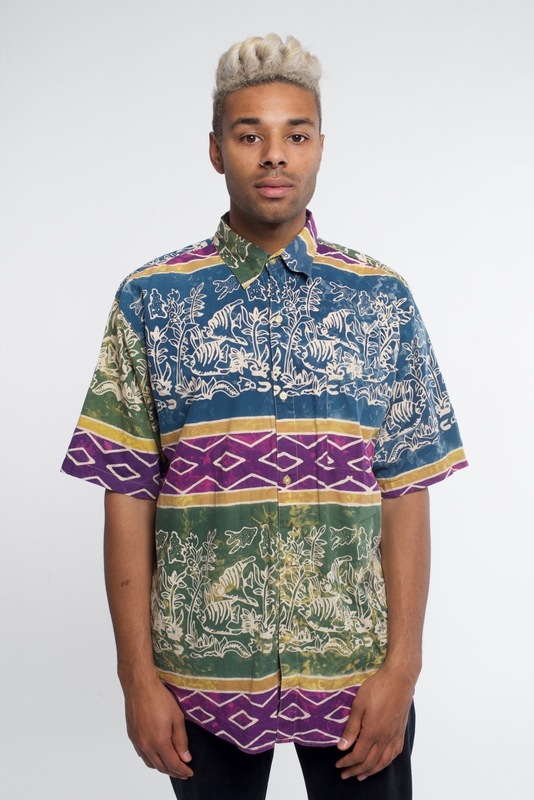 This beautiful shirt is super colourful and features a unique design in a wax print. 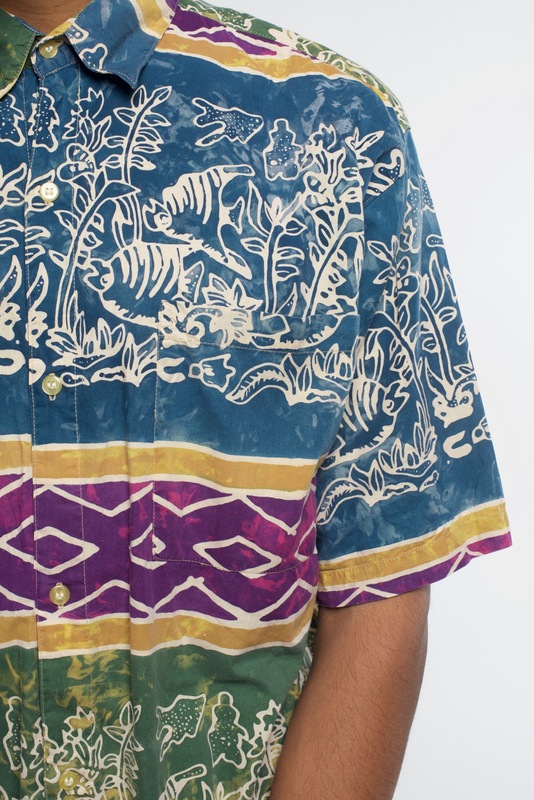 It has a mix of green, blue, yellow, purple and pink with an under the sea themed pattern of fish and plants. 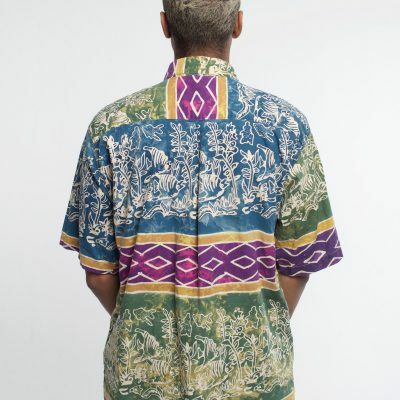 The shirt buttons to the top and has all of it’s button and is in really good condition, but this is a pre-loved vintage item. The shirt is 100% cotton, which means it sits really nicely and is super soft. 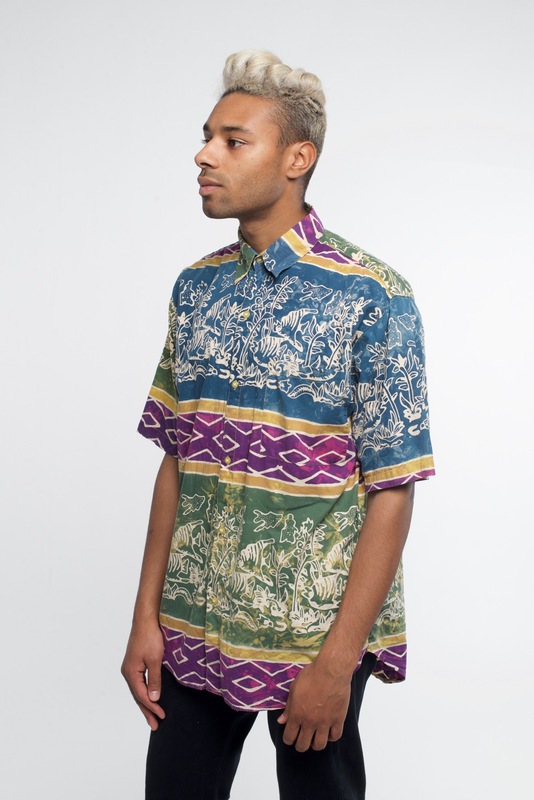 This shirt is nicely versatile, and can be worn open over a fresh white tee, or buttoned straight up. It measures 60cm from pit to pit. 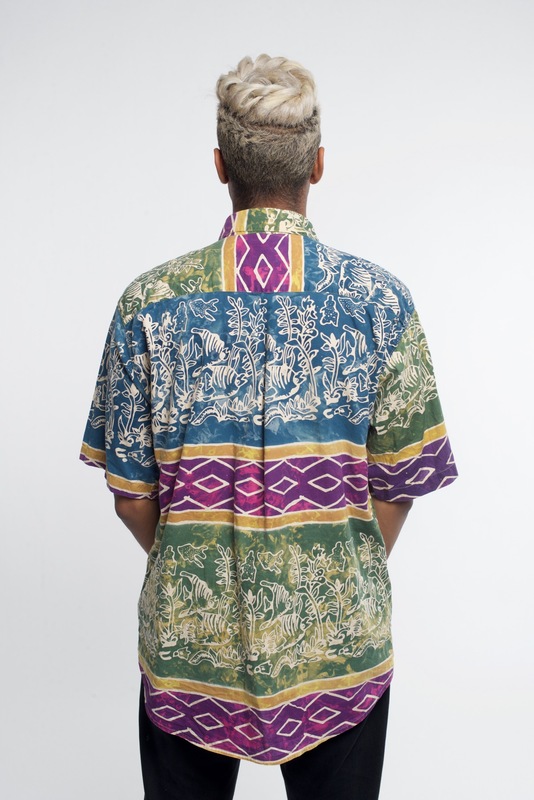 Collar is 43cm and the shirt features a generous pocket on the left chest. 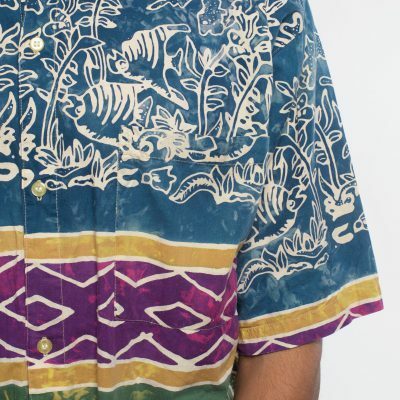 The size tab states that this shirt is a size L, but it could fit a Medium depending on how it’s styled. 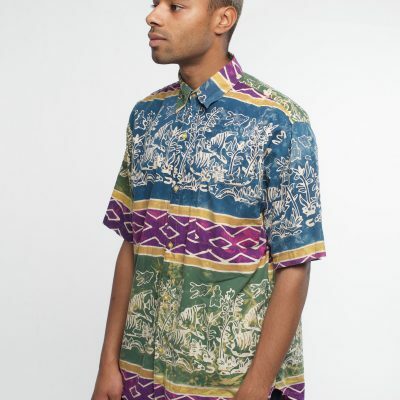 Categories: Mens, Shirts, Vintage. Tags: abstract pattern, american vintage, american vintge, cotton, cotton shirt, greek border, grey, grey on grey, long sleeve shirt, long sleeves, mens vintage, pattern shirt, patterned shirt, silk shirt, That Thing, thatthing, Vintage.